The International exchange program acts as a catalyst to enhance the cultural exchange between India and France through education. Keeping this in mind and to promote understanding and universal brotherhood Manav Rachna International School has successfully undertaken Students’ France Exchange Programme in association with Le Frehindi, Paris. 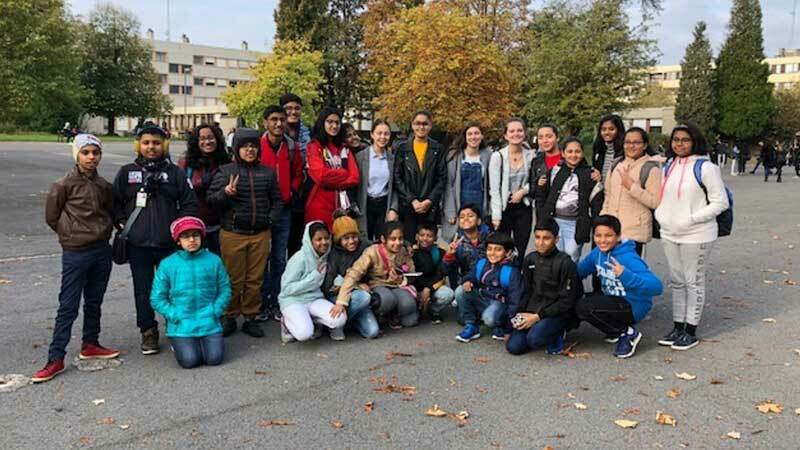 The first step towards cementing the ties between the two countries was the First Indo-French Students’ Exchange Program between Manav Rachna International School, Sec-51 and 46, Gurugram and Lycée Jean Moulin, Lille France which is situated in the city of Lille (Northern France) took place from October 14, 2018 to October 25, 2018. 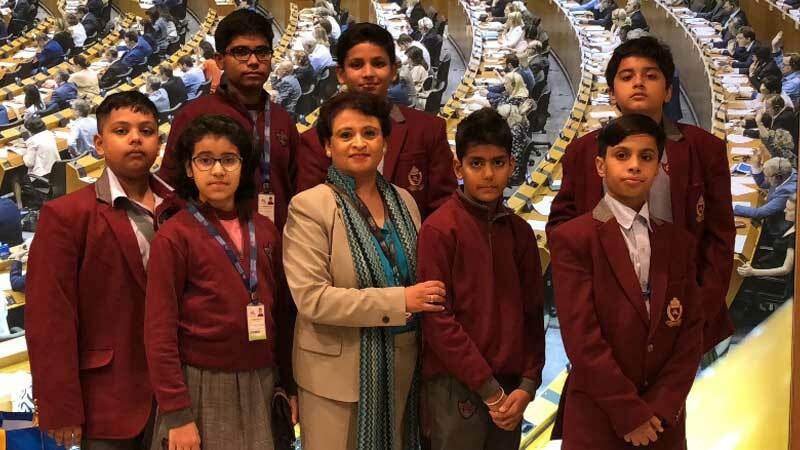 A group of 18 students from MRIS Sec 51 and MRIS Sec 46, Gurugram, accompanied by the Principal of MRIS Sec 51, Ms Pooja Puri and French teacher from MRIS, Sec 46 went for this enriching experience. The students got the opportunity to visit the Europe Union parliament and had the privilege to exchange their thoughts. His Excellency, the ambassador of France to India appreciated the visit and the interactive EU parliamentary session on Twitter! The students visited the city of lights- Paris and explored famous monuments such as the Eiffel Tower, Shanzeleze street and Champs Élysée , the famous streets in Paris. The students enjoyed the river cruise at Pontneuf and also explored the first metro line of the world. They were amazed to see The English Channel where students could see England across the channel with beautiful landscape. The students also got the opportunity to visit the world’s biggest aquarium, Nausicaa in Europe. They were in awe while looking and enjoying the different and amazing water world. The Indo-French Students’ Program also serves as a platform for showcasing the rich cultural heritage to the Indian students.